The First Steps in Music series is an attempt to preserve the rich repertoire of traditional and folk literature, and to enable today's families to recall and learn songs and rhymes that have nurtured wonder and joy in young people for generations. The authentic affection, innocence, and wonder of these songs and rhymes have the potential to plant the seeds of lifelong sensitivity and imagination. The songs and rhymes contained in our classes have been gathered over the past twenty years. Many of the most interesting examples were collected from the elderly, who often recalled songs and/or rhymes with great affection, reminding them of loving moments the had shared with young people in the past. The First Steps in Music curriculum is based on an extensive survey of research related to the development of singing and movement skills in young children, as well as many years of practical experience sharing musical activities with this younger age. It is this combination of a research-based curriculum, quality literature, and practical experience that makes the First Steps in Music curriculum unique. More and more research points to the importance of music in the lives of infants and toddlers. Nurture infants and toddlers with First Steps in Music for Infants and Toddlers! Resources for older students to build off of what they learned in earlier grades through the First Steps in Music curriculum. Years in the making, this comprehensive collection of church songs and spirituals is perfect for anyone looking for great songs for children's choir rehearsals, Sunday School, Vacation Bible School, church and vesper services, church camps, "singings," fellowship events, revival services, elementary music classrooms, and other church, music, and social gatherings. 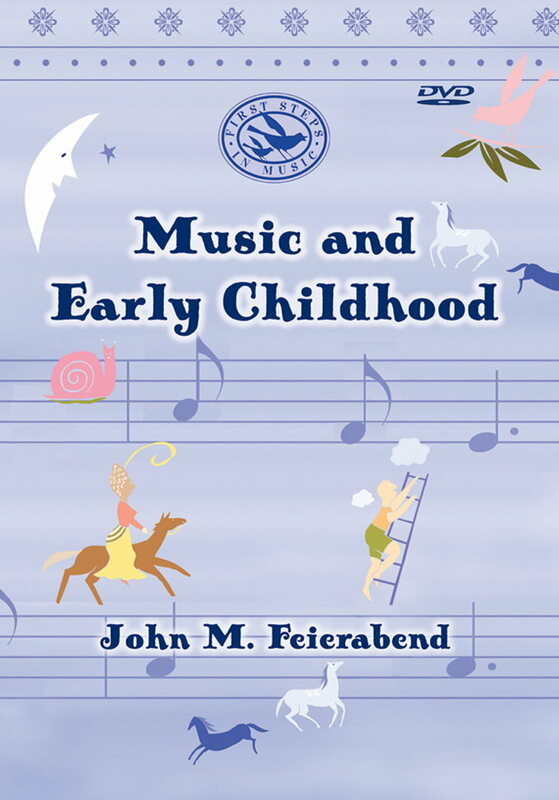 In each DVD, Dr. Feierabend presents a compelling vision for the importance of music and music education in our lives, starting from infancy. On this DVD, you will observe master teacher Lillie Feierabend working with a group of children as she demonstrates all eight parts of the First Steps in Music curriculum. This classic 30-minute public television documentary provides parents and educates with information about how children develop musically from birth through the early elementary years. With The First Steps in Music Vocal Development Kit, teachers can use many of Dr. Feierabend's favorite tools and techniques with students every day. In this essential kit, Dr. Feierabend includes puppets, toys, and instruments designed to help with two types of vocal development activities. These are additional resources for use in the classroom and include picture flashcards to help children find their head voice, movement DVDs and CDs, and selections from a PBS series based on First Steps in Music.